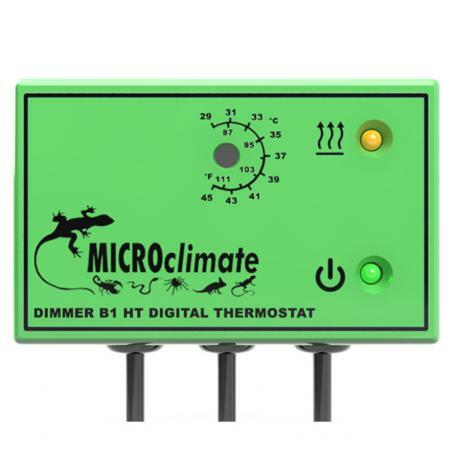 Just like the standard Microclimate Dimmer B1 but calibrated to suit a higher temperature range. What are Microclimate Dimmer B1 High Temp Thermostats used for? If you own any sort of exotic pet then thermostats are one of the most important pieces of heating equipment you can purchase. They protect your pet from accidental overheating and give you complete control over vivarium temperatures. 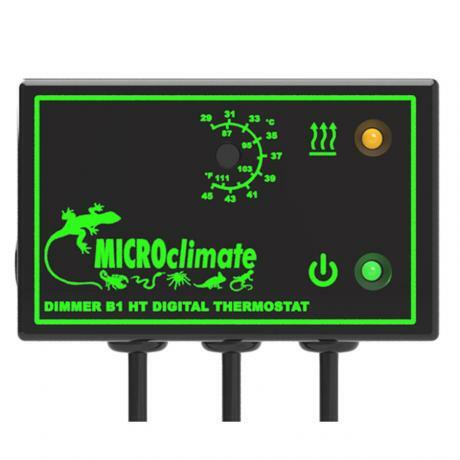 These thermostats are designed specifically for controlling basking bulbs, but can be used to control any other type of heating device such as heat mats or ceramic heaters. Dimming thermostats work by a continous but variable supply of power. 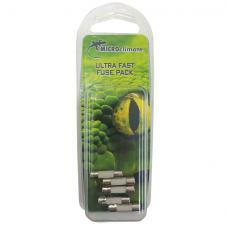 These devices have a anti-tamper adjustment dial which can be twisted with the enclosed key to the desired operating temperature. Probe position is important and varies depending on the type of heating equipment you are using with the thermostat. Fortunately, these devices now have longer cable sensor lengths of 2.5m for easier reach around vivariums. The product manufacturer encloses additional instructions advising on the best probe position in each situation. 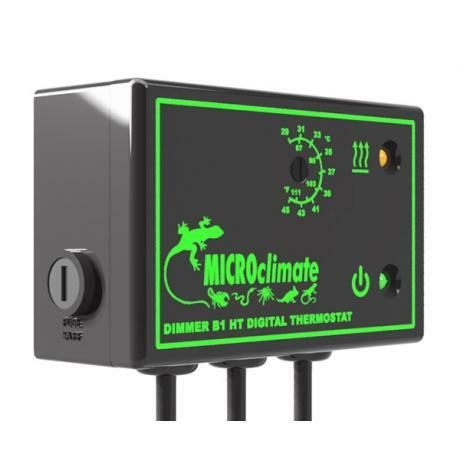 These thermostats are best suited to keepers who wish to provide their animals with higher than normal basking temperatures, such as desert species of lizard like Bearded Dragons. 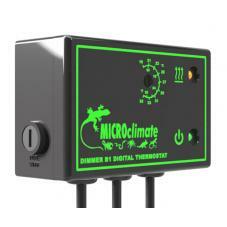 For animals that don't require these high temperatures then a standard Microclimate Dimmer B1 would be more suitable. Like with all thermostats, do not rely solely on the calibration setting of this device, there will be slight variance, depending on the probe distance from the heating equipment. Therefore, it's good practice to manually check the temperature with a digital thermometer. Finally, you will likely need to mount your thermostat to your vivarium. 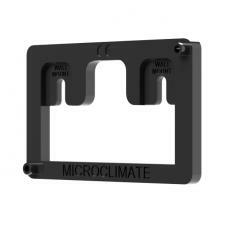 The new Microclimate Mounting Brackets are designed specifically to work with the standard range of thermostats and EVO's.